Mark D'Amico, Kate McClure and Johnny Bobbitt will face charges including conspiracy and theft by deception, according to the source. 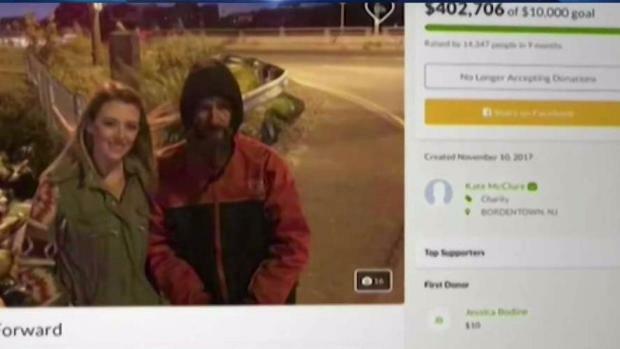 A New Jersey couple and a homeless man will face charges that they lied about a Good Samaritan story in order to raise more than $400,000 on GoFundMe. 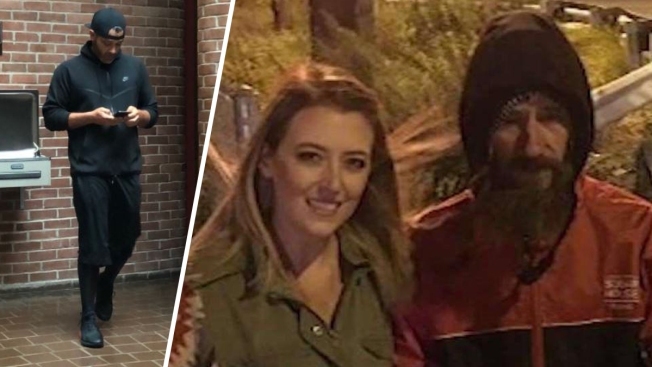 A New Jersey couple as well as a homeless man in the GoFundMe controversy are all accused of making up the story, a source said. Mark D'Amico, Kate McClure and Johnny Bobbitt allegedly conspired with one another to make up a story in order to raise more than $400,000. The couple turned themselves in to Burlington County prosecutors Wednesday, the source said. It is not clear if Bobbitt turned himself in. EDITOR'S NOTE: The newest version of this story can be found here, including the confirmed arrest and extradition of Johnny Bobbitt Jr. by Philadelphia police on Wednesday night. It will also host the livestream of a 2 p.m. press conference by prosecutors making a major announcement in the case at Old Burlington County Courthouse. The New Jersey couple who became famous for raising hundreds of thousands of dollars for a homeless man after he helped with their disabled car — as did the homeless man himself — will all face charges for allegedly providing a false story in order to raise money for themselves, a source familiar with the case told NBC10. Mark D'Amico, Kate McClure and Johnny Bobbitt Jr. will face charges including conspiracy and theft by deception, according to the source. A complaint obtained by NBC10 alleges that the three conspired with one another to make up a false story in order to raise more than $400,000. Investigators say the three deliberately prevented donors for their GoFundMe campaign from gaining information "that would affect their judgment about solicited contribution to that fundraising effort." D'Amico and McClure turned themselves in Wednesday to Burlington County prosecutors, the source said. The source did not confirm whether or not Bobbitt turned himself in as well. A close source to the case says a New Jersey couple and a homeless man made up the entire Good Samaritan story, then created a GoFundMe account. All three involved will face charges for the false story they allegedly created. The three initially gained fame in 2017. The couple claimed Bobbitt used $20 to help McClure get gas when her car ran out on Interstate 95 in Philadelphia. McClure and D'Amico then launched a GoFundMe page to supposedly raise money for Bobbitt, and the page brought in over $400,000 from 14,000 contributors.